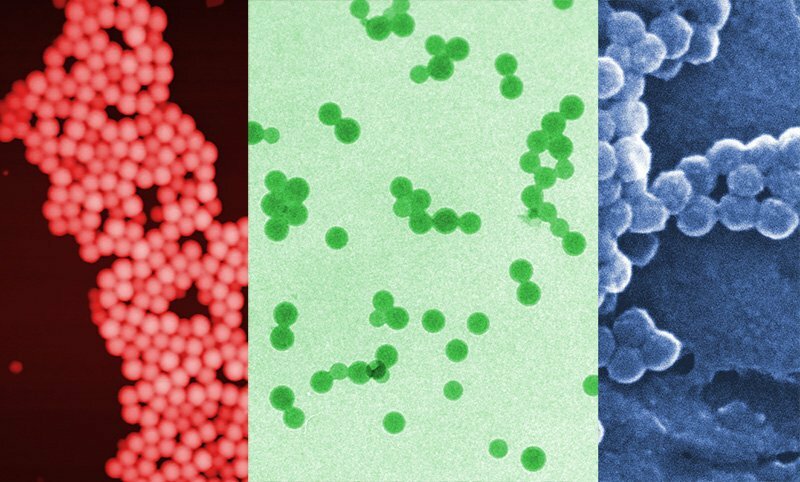 What's the best method for nanoparticle sizing? My group recently published a paper in the journal Ultramicroscopy reporting on direct comparison we made between different techniques that can be used to characterise the size of nanoparticles. There are a wide variety of technique available to make these kind of measurements nowadays, however, microscopy is often used, because it is a direct technique (some other techniques measure properties related to size), and because it’s also possible to measure shape at the same time. The size of nanoparticles is extremely important for their properties, and ideally a technique to measure nanoparticle size will have sub-nanometer resolution. Apart from microscopy, light-scattering techniques are probably the most common techniques used. The method of dynamic light scattering, or DLS; is extremely popular and used in thousands of labs worldwide. A newer method based on laser light scattering, called nanoparticle tracking analysis, or NTA, is currently growing in popularity. In our project, we prepared nine samples; these we made up of nanoparticles composed of three different, and commonly used materials, a metal, an oxide (silica), and a polymer. We examined each materials in two different sizes, and also tested the ability of each method to distinguish between different populations in mixed samples. We found that unfortunately we were unable to use NTA for our samples This technique is very sensitive to sample colloidal stability, and was not able to obtain reasonable results with all our samples. Transmission electron microscopy (TEM), scanning electron microscopy (SEM), and DLS. With all methods, we were able to obtain size values for all samples. However, we found for SEM, that some samples had to be coated to give decent results. Even with coating, SEM gave the lowest precision of the three microscopy methods, when characterising smaller nanoparticles. Both AFM and TEM had very high precision, and AFM gave the most satisfactory results in separating mixtures of materials. AFM also has the advantage of characterising any type of material, giving high contrast even on soft, organic materials. On the other hand, AFM can be slower than the other two microscopy methods, when measuring large numbers of nanoparticles. As for DLS, we found that it was very poor at separating mixtures, and had much lower precision levels than any of the microscopy methods. On the other hand, since it measures solutions, rather than dried samples, it can give an idea of the dynamic behaviour of the particles in solution. For more details, download the paper HERE, or HERE.